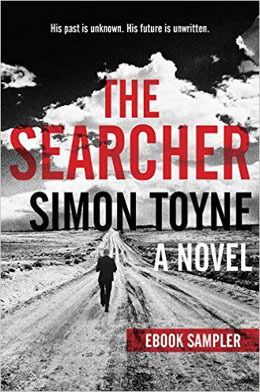 With The Searcher, Simon Toyne has launched a new series perfect for thriller fans expecting more than just car chases, gunfights, and clichéd motivations in their tomes of choice. Solomon Creed feels like a character that is at once both familiar to readers and yet strangely alien at the same time. The novel begins with a plane crash in the wilds outside Redemption, Arizona. At the same time as the crash, the townsfolk are laying Jim Coronado – one of the town’s most prominent citizens – to rest. Sheriff Garth Morgan immediately heads out to the location demarcated by fire and smoke. This is where he meets the man who will become reader’s conduit into this series. From the moment he appears on the page – as an unnamed tattooed albino fleeing alone down a deserted desert road – readers will latch on to Solomon Creed. Like the best heroes in fiction and film, even when it is unclear what his motivations are, the need to root for him overtakes the audience. His uniqueness only escalates as the plot of the novel kicks into gear. Solomon has come to Redemption to save Jim Coronado – albeit, arriving a bit too late. And that fact is the only thing Solomon Creed knows for sure. Solomon has a wealth of untapped knowledge he is able to call on when needed. Despite his amnesia, he somehow always seems one step ahead and in possession of the skills needed to stay alive. Which is a good thing, because it quickly becomes clear that he is about to clash with Tío Alvarado, a criminal mastermind for whom revenge is a way of life. Tío’s son, Ramon, was the most important passenger on the downed plane and now he feels that someone must pay. Opening each section of The Searcher, Simon Toyne provides readers with extracts from a memoir about the founding of Redemption, Arizona. This insight into the history of the town is crucial to the developing plot. 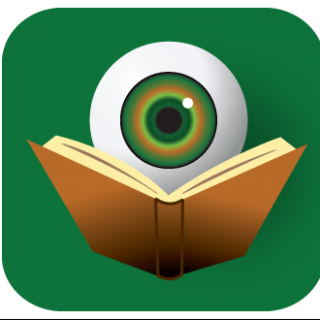 With a setting named Redemption, readers will immediately realize that Toyne is deploying larger themes within The Searcher. The use of more literary writing techniques not typically found in the thriller genre elevates the quality of the work in my mind. While there may have been a few too many competing themes for my liking, later books in the series are sure to expound on those that are ultimately given short-shift in The Searcher. Unlike many practitioners of these testosterone-fueled fantasias, Simon Toyne is equally skilled at bring to life both male and female characters. Holly Coronado is a perfect example. She is almost as complex and interesting a character as is Solomon himself and could easily have been the focus of the novel. In fact, each persona in the book, regardless of where they fall on the good versus evil spectrum, is presented with real flaws that make them all the more human and relatable to the reader. Similar to the way it appears in the works of John Connolly and Michael Koryta, the ominous feel of the supernatural permeates throughout The Searcher. This may not be to every reader’s taste, but it is something that Simon Toyne excels at. How much the supernatural will play in future novels remains to be seen. With his first trilogy – Sanctus and the sequels – Simon Toyne proved to be adept at telling larger stories over the course of multiple books, so readers should prepare for a wild ride when Solomon Creed returns next year. For those not in the US, this is simply titled ‘Solomon Creed’ for the UK and Australian book markets. Thanks Ann. I should have mentioned that here. I did do a Facebook post on the differences in the cover designs and a discussion of the title change.